I'm not even going to try to set this up. It is what the title says it is! 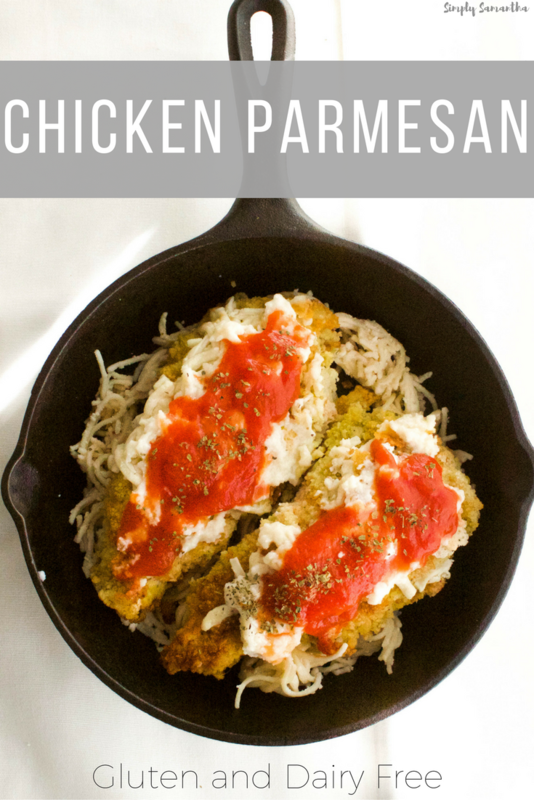 GLUTEN AND DAIRY FREE Chicken Parmesan!! I impressed even myself with this recipe. Mind blown. Add flour to bowl. Add beaten egg to another bowl. 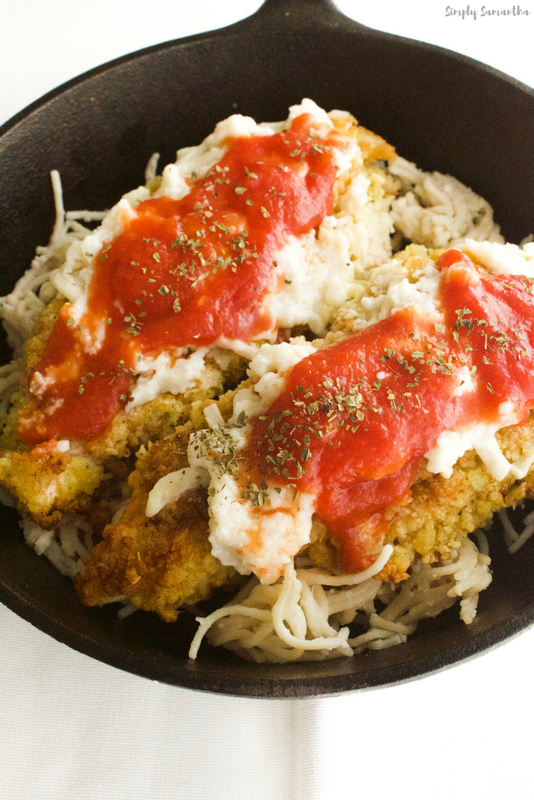 Combine panko crumbs with 1/2 cup parmesan (don't forget this part) along with the basil and oregano in a dish large enough for the chicken breasts. Coat chicken in flour, then egg, then cover with bread crumb mixture. Get as much to stick as you can. Add your coated chicken to the heated/oiled pan. Cook each breast until golden brown, about 2 minutes on each side. Remove from pan and transfer to baking sheet. Place the chicken on a sprayed sheet and cook till chicken is cooked through (like I said, my pieces were thick so it took about 10-15minutes).